A graduate of the Royal Irish Academy of Music, flautist Miriam Kaczor came to Ireland at the age of 12, from Poland. Miriam was the Irish Freemasons Young Musician of the Year 2015, and has appeared as soloist with both the RTE National Symphony and Concert Orchestras. She has performed with the Vanburgh Quartet, Crash Ensemble and is a member of Kirkos Ensemble. 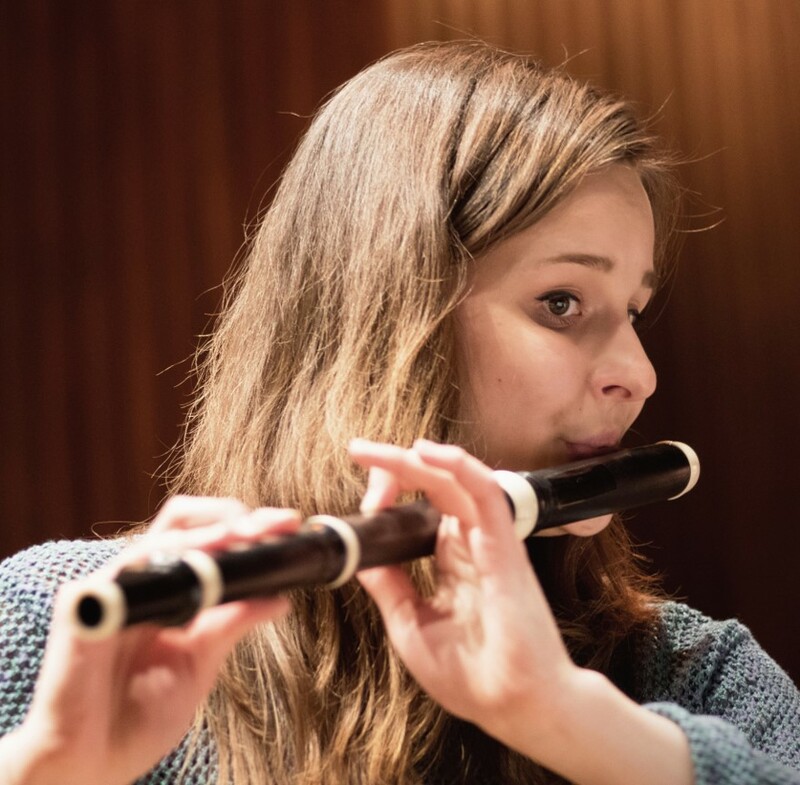 She first picked up the baroque flute in 2014, encouraged by a class with Jana Semeradova in Sligo, and has gone on to perform with period-instrument groups such as Ensemble Marsyas, Britten-Pears Baroque Ensemble and plays regularly with the Irish Baroque Orchestra. Miriam is currently studying in London, supported by an Arts Council Travel and Training award.